What is Facial? What are its Uses and Why Fashion Quotient Salon? 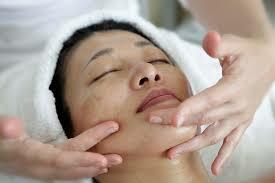 Facial is a kind of skin care treatments for the face with steam. With the age it is very important and essential to take care of face skin to look young and healthy. We know on daily basis at home you take care of your skin with normal wash but once in a month or two it is very important to visit a salon and get a facial done with expert beautician. There are different techniques of massage to face and skin care given at salons. The steam which given during a facial, opens all the skin pores which is very essential for skin to breathe easily. After Steam there will be scrubbing which in turn removes the dead dirty cells from the face and removes white heads and hence removes all the blockage of the face skin pores. All the above procedure with specific cream gives a special glow to your face and you look amazing compared to others who don’t do facials and take care of their skin. Why Fashion Quotient: We are 7+ years old salon with very experienced staff who undergo training frequently and understands the value of facial and give each customer a unique experience. Our expert beauticians will suggest the facials according to your needs and skin. We especially use Herbal Facial, Mixed Fruit Facial, Shahnaz Herbal, Lotus Herbal Whitening, Anti Tan Facial, Biotic Facial, Shahnaz Sha Life, Shahnaz Pearl Shahnaz Gold Shahnaz diamond, Lotus Gold, Lotus Acne Facial, Lotus Insta Fair, 4 Layers Anti-Aging, Be Very White Facial, Pineapple Radiant Facial(For Very Sensitive Skin) and O3 Facial. We always believe in customer satisfaction with greater results rather than just making business.